Update: San Diego Restaurant Week has been extended for a second week! Sample your way at one of the 150 participating restaurants from January 26-31, 2014. Sushi is healthy! Enjoy some at Roppongi during Restaurant Week. While not everyone makes a New Year’s resolution to lose weight, many diners have healthier eating in mind in January. Fortunately, several San Diego Restaurant Week participating restaurants are known for their healthy-yet-delicious options. Try the Good Things Growing, an Indian corn pudding, at Indigo Grill or the seasonal fish entree at Roppongi Restaurant & Sushi Bar to discover that healthy food doesn’t have to be boring. San Diego is a cultural melting pot, especially when it comes to restaurants. Start the week with dinner at Nobu for Japanese fare, try an Italian favorite at BICE Ristorante, and round out the week with lunch at Taste of Thai. Your taste buds will have traveled the world in one week. Croce’s Park West celebrates its Grand Opening during Restaurant Week. Whether it’s the brand new SEA180º Coastal Tavern or the recently updated Market Restaurant + Bar, each San Diego Restaurant Week gives diners a chance to try new venues. Check out the grand opening Croce’s Park West, a new spot by the owners of the original Croce’s restaurant downtown, which closed in 2013. San Diego’s January Restaurant Week is part of a month-long celebration of California dining. Thanks to California Restaurant Month, travelers up and down the state can sample cuisine from more than 30 California destinations. 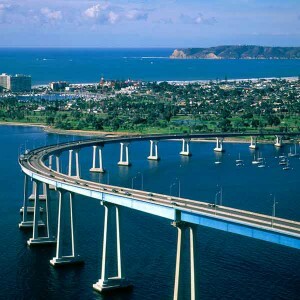 So enjoy a January road trip, and be sure to stop in San Diego between January 19-24! Of course, the best reason to dine during San Diego Restaurant Week is to take advantage of the great deals. With three-course meals at some of San Diego’s finest restaurants starting at $25, Restaurant Week can help you recover from all that holiday spending. Are you planning on dining in San Diego during Restaurant Week? Let us know in the comments below. What’s the best thing about summer coming to an end? Fall is prime time for big savings when you travel to San Diego! In September, the beaches are less crowded (though the weather is still fabulous), hotel rates are more affordable and dining at more than 180 San Diego restaurants is a real steal, thanks to San Diego Restaurant Week, September 15 – 20, 2013. During San Diego Restaurant Week, diners can enjoy deep discounts as restaurants offer three-course prix-fixe dinner menus for just $20, $30 or $40 per person. Lunch prix-fixe menus are also available at many places for just $10, $15 or $20 per person. With so many restaurants participating, it can be hard to choose just which ones to check out. Here are some brand new options for 2013 that are sure to make the decision even harder. If the name conjures up the image of diving into a swimming pool, you’re on the right track. 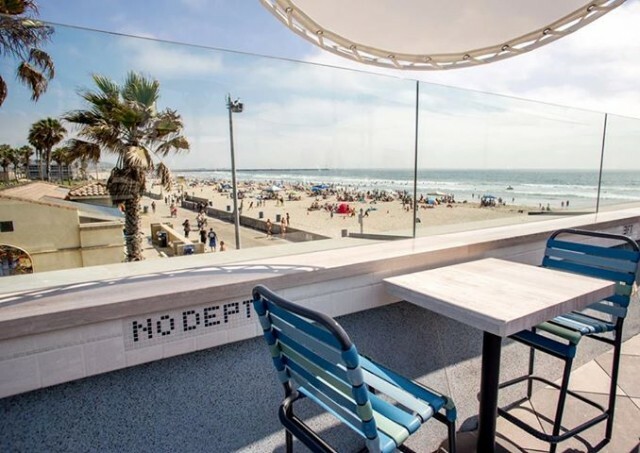 The brand new sushi restaurant and lounge in Mission Beach is decorated with pool loungers and beach balls, and their rooftop is currently being expanded into what will soon be San Diego’s largest oceanfront rooftop lounge. During San Diego Restaurant Week, you can enjoy three courses of their Pacific Rim-inspired menu for $30. Fresh seafood is what this new Kensington restaurant is all about. The menu features fish from both oceans, including the Atlantic’s Gulf Coast, New England and English Coast as well as the Pacific’s North West, Baja and Pacific Rim regions. 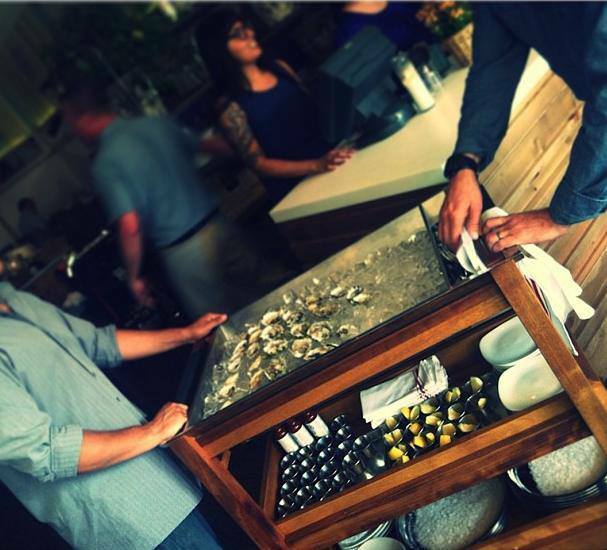 During San Diego Restaurant Week, you can get your fish fix in three courses for just $30, or splurge on the tableside oyster cart service where patrons have the opportunity to select fresh shucks with prepared mignonettes and house made accouterments such as tarter and cocktail sauces. This summer, the luxury Rancho Bernardo Inn welcomed a new restaurant, Avant to its elegant digs in the rolling hills of San Diego’s North County. During San Diego Restaurant Week, this high-end yet casual spot will offer three course dinners for $40. Be sure to check out the restaurant’s unique features, which include a signature classic martini menu accompanied by a “choose your own” stuffed olive bar, a fire engine red vintage Berkel manual flywheel charcuterie slicer and two custom-built mustard taps. Which spot will you be savoring this San Diego Restaurant Week? Tell us in the comments below! Was your New Year’s resolution to start feeding that piggy bank? If you’re like me, you want to save money without feeling like you’re missing out on the good things in life, like fine dining. January is always a great time of year for money-saving travel to San Diego, when hotel rates and airfares have dropped from their peak holiday prices. And thanks to San Diego Restaurant Week, you really can live the good life in San Diego without breaking the bank. 100 Wines Hillcrest will be serving up their signature crispy cauliflower with pancetta, parmesan cheese and a balsamic port reduction. Follow that up with a proscuitto pizza creatively topped with house made mozzarella and green grapes. 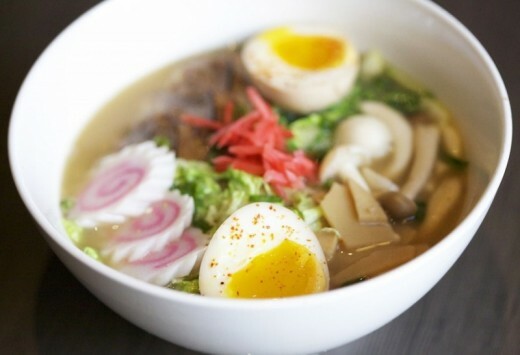 Gaijin Noodle + Sake House in downtown’s Gaslamp Quarter offers one of the tastiest deals with a starter, two yakitori skewers, half bowl of ramen and dessert (like their bacon s’more) all for only $20. For diners who want maximum menu options, Terra American Bistro in La Mesa has you covered with more than 10 appetizer options and seven entrée options, including their Karl Strauss Amber Lager braised pot roast and sinful lobster mac ‘n cheese. San Diego Restaurant Week is part of California Restaurant Month, occurring January 2013, when 30 destinations across California are hosting restaurant week events. Details are available online at www.visitcalifornia.com/restaurantmonth. What restaurants are you excited to try out during Restaurant Week? Spend another warm autumn weekend enjoying one of these great events in San Diego. 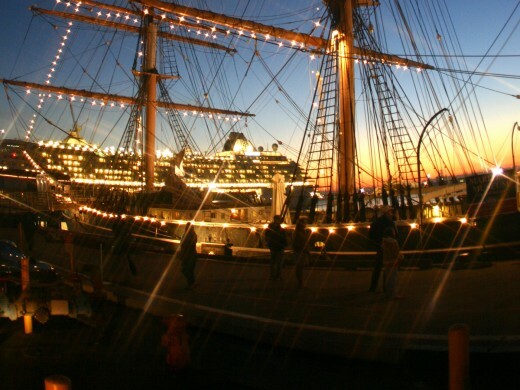 Do you dare board the Star of India when the lights go out? During this time of year, spooky things start to happen on the Star of India at the Maritime Museum of San Diego. Climb aboard for creepy treats, a hauntingly fun tour, ghostly tales and more. Your tiny ghouls and princesses are encouraged to come dressed up for a night of Halloween excitement on the water. Learn about the importance of water during SEA Days. Water is essential to life on our planet. 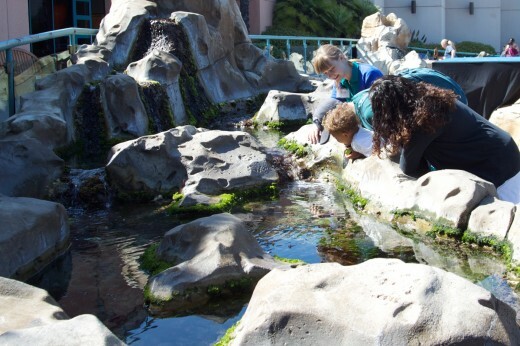 Bring the whole family to the Birch Aquarium at Scripps to learn about urban runoff, water quality, and conservation concerns with hands-on exploration, special activities, and a chance to interact with Scripps Oceanography scientists. 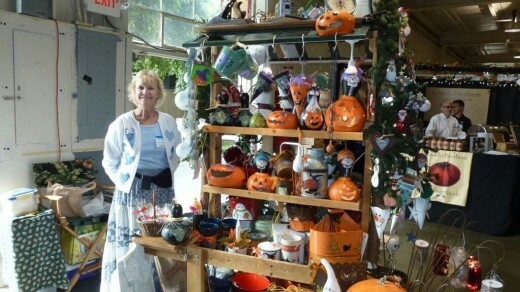 Get your handmade holiday decorations at the Harvest Festival in Del Mar. For more than 40 years, craft lovers have converged at the Del Mar Fairgrounds for the annual Harvest Festival Original Art & Craft Show. There will be food, music and plenty of unique handmade works from more than 300 arts and crafts people. It’s never too early to start your holiday shopping! 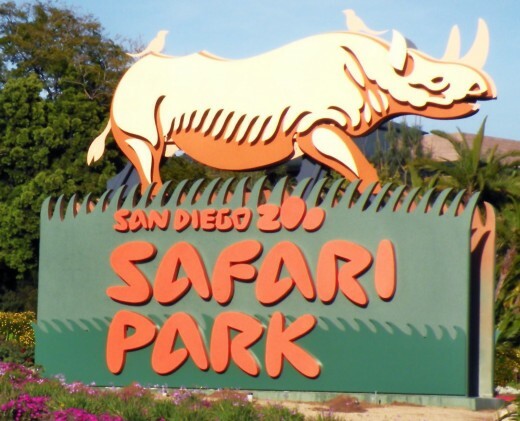 Travel to Africa, Asia and Germany in one day at the San Diego Zoo Safari Park! Spend the day exploring the exotic and wild animals for Africa and Asia before ending your adventures with a trip to Germany (while never actually leaving the park) during the Oktoberfest Celebration at the San Diego Zoo Safari Park. Enjoy live music, a delicious buffet of German-inspired specialties and a variety of German Beers (for those over 21). 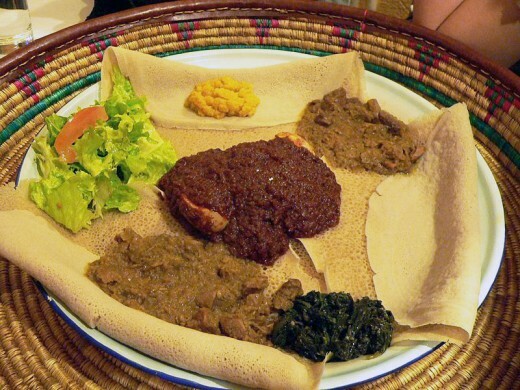 Discover Ethiopian Injera (pancake-like bread) and Wat (stew) during San Diego African Restaurant Week. Photo courtesy of Wikipedia. In its inaugural year, San Diego African Restaurant week invites everyone to experience African cuisine from Kenya, Ethiopia, Somalia, Eritrea and Jamaica with a Prix Fixe menu including an appetizers, main course, and desserts at restaurants in the uptown neighborhoods. Throughout the week, there will also be cooking classes, traditional music and dance, and coffee ceremonies. Don’t miss the opening event at the WorldBeat Center on Friday, October 19 starting at 7:00 PM. 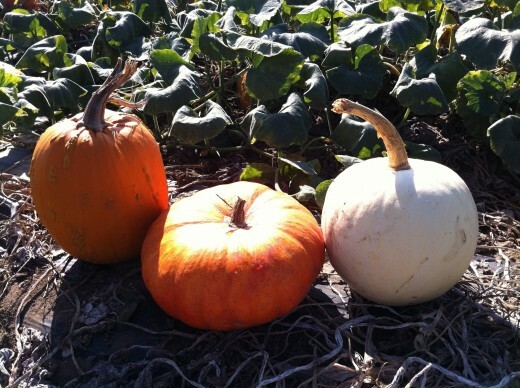 Find a great carving or cooking pumpkin at Pumpkin Palooza at Suzie’s farm. With Halloween just around the corner, why not find the perfect pumpkin for carving or cooking at Suzie’s Farm’s Pumpkin Palooza (you can find plenty of other pumpkin patches here). The whole family can enjoy a day of pumpkin picking, music, organic food from popular food trucks and more. Know of another great event in San Diego this weekend? Let everyone know in the comments below. What do you get when you combine San Diego Restaurant Week, a 6-day celebration of dining deals, with National Cheeseburger Day? 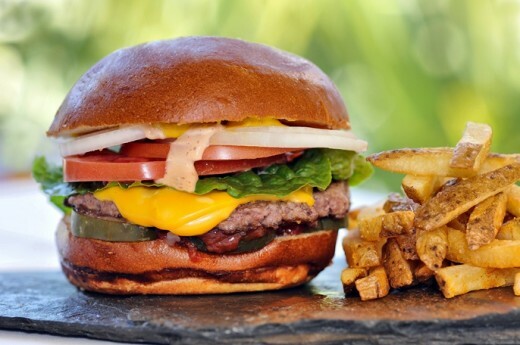 One great excuse to go out and enjoy a burger in San Diego! Davanti Enoteca’s top-notch burger (photo by Erin Jackson). 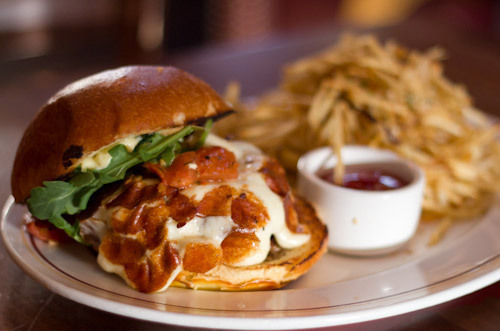 It may be an Italian restaurant, but Davanti Enoteca serves up a mean cheeseburger. Just ask San Diego food blogger Erin Jackson. 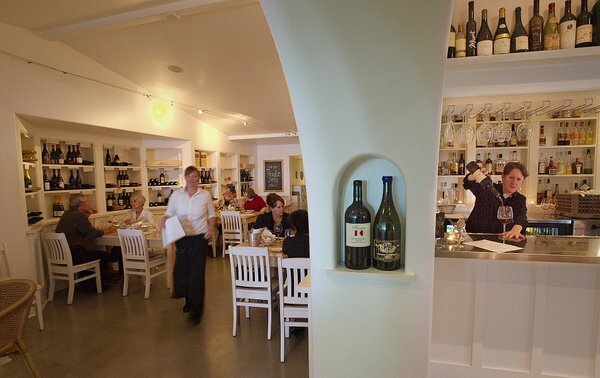 Plus, Davanti Enoteca was recently named one of the top 50 best new restaurants by Bon Appetit magazine. You may have read about Bunz previously on this blog, and for good reason. During Restaurant Week, you can choose from 5 different burger options paired with a drink and an overflowing bucket of fries or onion rings for just $10. If you like options, you’ll love the Restaurant Week deal at Slater’s 50/50. 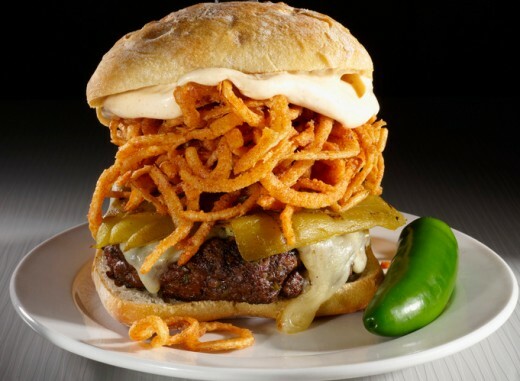 Diners can enjoy a burger, appetizer and drinks for just $10; and you can choose from any of their 10 decadent burger options featuring toppings that range from peanut butter to asparagus spears. Where will you satisfy your craving on National Cheeseburger Day? San Diego Restaurant Week officially kicks off Sunday, September 16th and runs through the 21st and this year is better than ever with over 180 restaurants participating. With so many to choose from, it’s hard to pick just one, so I’ve decided to try several! 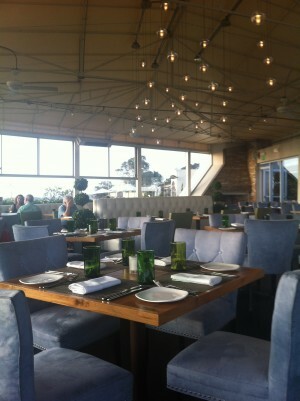 One I’m most excited to try has it all: great food, great service and a great view – Flavor Del Mar. 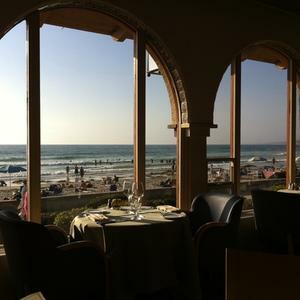 Nestled atop Del Mar Plaza with a pitch perfect ocean view, dining at Flavor Del Mar is a full sensory experience. 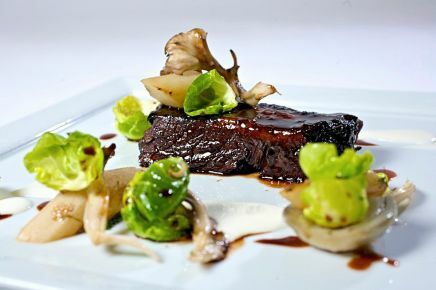 Executive Chef Brian Redzikowski offers a youthful and inspired approach to California Cuisine, creating simple, yet unique blend of flavors and fragrances that are as fresh as the Pacific breeze. At my most recent trip to the restaurant we were started off with warm bread and spiced salts. I made sure I tried them all and absolutely loved the house sea salt with fresh rosemary. Next we ordered the tuna tacos to share. These tacos alone were worth the trip, my mouth waters just thinking about those tacos. For the entrée, I had the seared scallops. I love a good scallop and these lived up to the restaurant’s name, Flavor. They melted in my mouth as if they were butter. I can’t wait to see what they have in store for Restaurant Week! 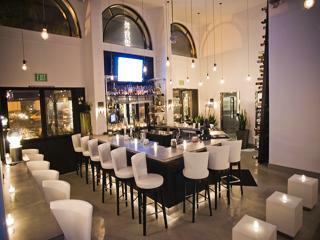 San Diego Restaurant Week runs from Sunday, September 16 through Friday, September 21st. Over 180 restaurants are participating and are offering three-course prix-fixe dinner menus for just $20, $30 or $40 per person and/or two-course prix-fixe lunch menus for only $10, $15 or $20 per person. Tickets and passes aren’t necessary for this week of discounted dining; show up at any participating location or call ahead to make a reservation and eat to your heart’s desire! 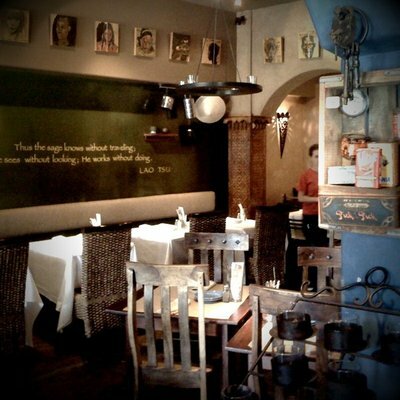 San Diego Restaurant Week 2012 Extended! Because you can never have too much of a good thing, San Diego Restaurant Week has been extended for an extra 6 days. If you missed it this week, you can still get great values on meals at more than 130 restaurants around the county from January 22 – 27, 2012. This charming spot in Mission Hills may be unassuming on the outside, but their menu is full of bold flavors. During Restaurant Week, you can start with beer-battered oysters, follow-up with a slow-roasted tri-tip steak and finish the evening with decadent dessert of milk chocolate ganache with brown butter ice cream. 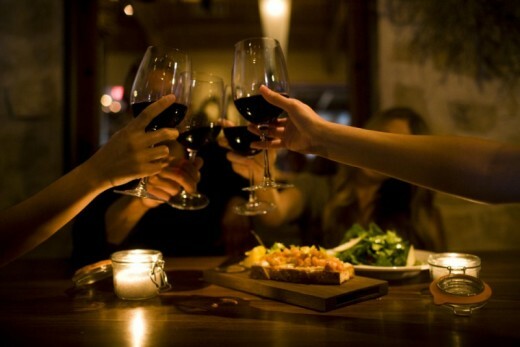 Of course, the meal wouldn’t be complete without wine pairings, which can be added to complement the menu for an additional cost. A meal at this warm and cozy South Park favorite is like a trip around the world. Try Southern-inspired lemon-garlic shrimp and grits for an appetizer, a classic French coq au vin for the main course, and an unexpected twist on Filipino food with Vagabond’s banana lumpia for dessert. Fun and funky describe this Banker’s Hill restaurant. The hot pink color scheme will instantly put you in a good mood, and so will their delicious tacos. 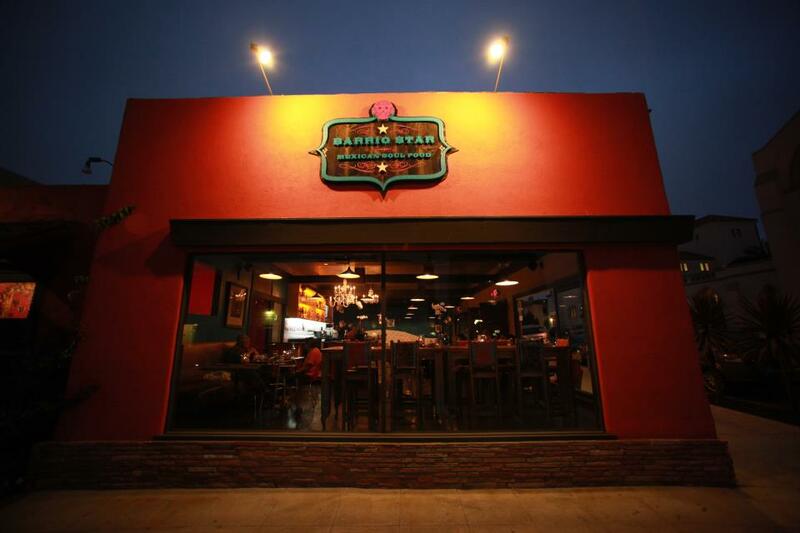 Whether you prefer the classics like carnitas with cotija cheese, onion and cilantro or the vegan-friendly soy chorizo option, Barrio Star’s Restaurant Week menu offers the comfort of Mexican cuisine served with a fresh perspective. Fresh from an appearance on the Food Network’s Iron Chef series, Chef Jason Knibb will knock your socks off with the cuisine that got him invited to face off with Bobby Flay. 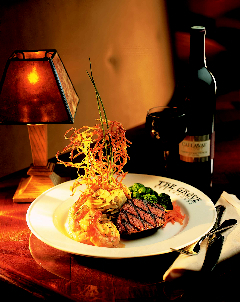 Located in the historic Grande Colonial hotel, the elegant dining room offers dishes both classic and creative. Their Restaurant Week menu options include a savory Jamaican jerk pork belly with plantains, black-eyed peas, spicy jellies as well as Alesmith Speedway stout-braised short ribs. 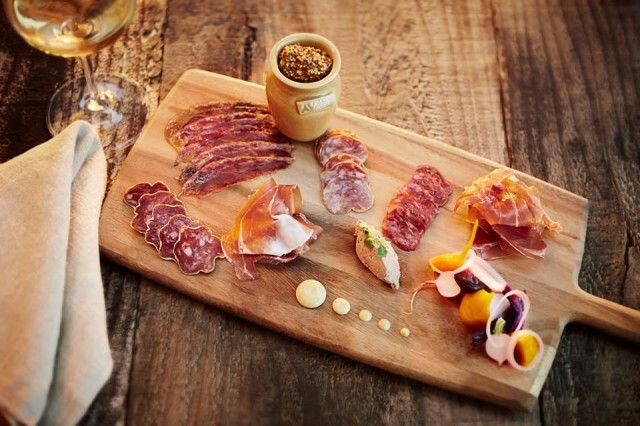 At Whisknladle, everything from breads and meats to ice cream and pasta are baked, churned, smoked, aged, cured and pickled in-house. The farm-to-table joint also scores points for offering a wide variety of their usual menu items during Restaurant Week. 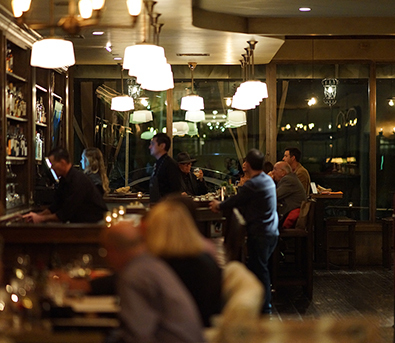 You can choose from mussels and fries, tagliatelle, squid ink risotto, ricotta gnudi, Maine diver scallops, grilled trout, line-caught albacore, Fulton Farms chicken, house-made boudin blanc, prime hanger steak or the Whisknladle burger…and that’s just the entrée selections! One of San Diego’s most well-regarded chefs, Amy DiBiase, set up shop this fall as the new Chef de Cuisine at The Shores, so there’s never been a better time to visit this surfside venue with one of San Diego’s best dining room views. During Restaurant Week, you can sample DiBiase’s local shellfish stew, rice paper wrapped sole and a trio of decadent desserts for just $30 per person. For an additional cost, wine pairings carefully selected by The Shores’ expert Wine Director, Lisa Redwine, are also suggested for each course. The anticipation is palpable; you can feel it, almost taste it… OK, I exaggerate a bit. But, it is only the biggest dining event of the year: San Diego Restaurant Week! And it all kicks off this Sunday, Jan. 15, continuing through the 20th. Have you made a reservation yet? With over 180 restaurants – from intimate bistros and casual eateries to elegant fine dines – there’s a lot to choose from. If I had to narrow it down, some of my top picks would be on Coronado Island, just a bridge away from downtown San Diego. Magnificent Mistral at Loews Coronado Bay Resort. 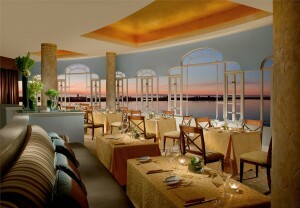 The magnificent Mistral at Loews Coronado Bay Resort is a must-dine with its floor-to-ceiling panoramic views of San Diego Bay and the iconic San Diego-Coronado Bridge – an idyllic backdrop for modern French delicacies prepared by chefs Marc Erhler and Patrick Ponsaty. A sheer delight! Sheerwater at The Del. 1500 Ocean at The Del. 1500 Ocean boasts a warm modern flare with Pacific views and menu by new Chef de Cuisine Aaron Martinez that uses fresh local ingredients, including The Del’s onsite herb garden, to create mouthwatering coastal-inspired dishes. The classic Coronado Boathouse 1887. 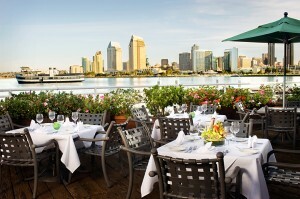 Coronado Boathouse 1887, located on Glorietta Bay across the street from The Del, serves gourmet steaks and seafood. This “diminutive Del” is a favorite with locals and visitors alike! 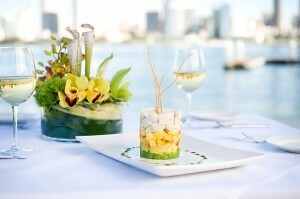 Situated on San Diego Bay (at Coronado Ferry Landing) with spectacular views of the downtown San Diego skyline, Peohe’s specializes in fresh tropical seafood and Pacific Rim dishes including innovative sushi. Al fresco dining is available on the patio or in a charming dockside courtyard. 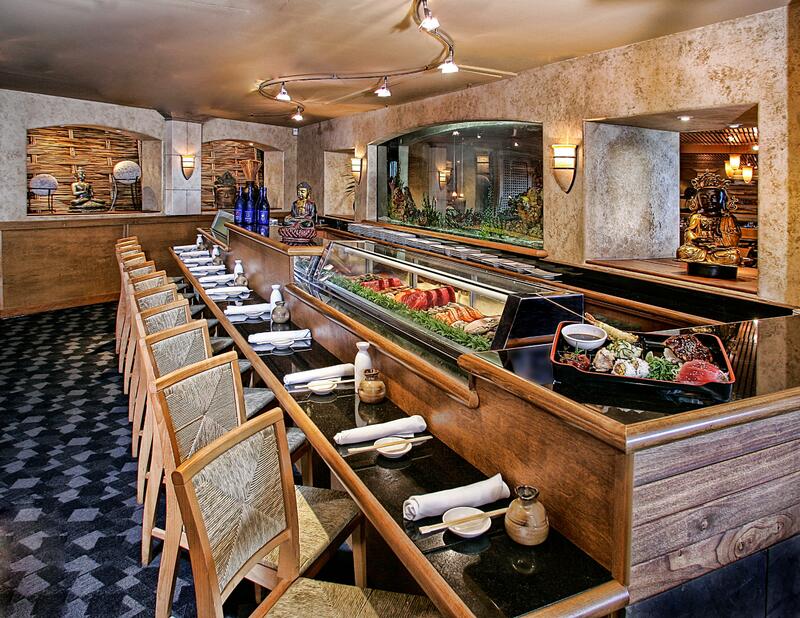 Vigilucci’s Ristorante Coronado serves Italian classics, prime steaks and seafood in a romantic setting enhanced by live music daily from its martini lounge and piano bar. Two of my favorite areas of San Diego are Coronado – our postcard-perfect slice of paradise just across the bridge from downtown – and East County which constantly surprises me with its cool backcountry finds. Narrowing down my favorite restaurants in each region wasn’t easy, as there’s a plethora of mouth-watering options, from French, Italian and some of the finest Mexican food in the County to farm-to-fork and coastal cuisine. Sheerwater at the Hotel del Coronado is a refined, yet casual oceanfront restaurant featuring a “Fish by the Sea” menu of classic bistro-style cuisine with a focus on fresh sustainable seafood. Just steps away, the beach beckons couples for romantic strolls. 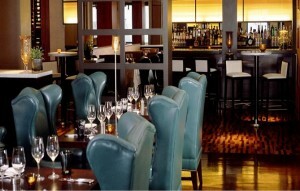 Mistral's panoramic views of San Diego Bay. 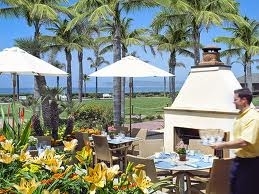 With floor-to-ceiling panoramic views of San Diego Bay and the iconic San Diego-Coronado Bridge, Mistral at Loews Coronado Bay Resort offers an idyllic backdrop for modern French delicacies prepared by chefs Marc Erhler and Patrick Ponsaty. 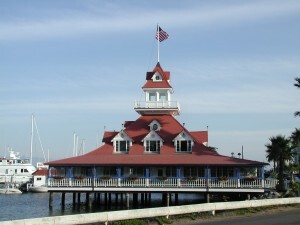 Coronado Boathouse 1887 on Glorietta Bay. Coronado Boathouse 1887, located on Glorietta Bay across the street from the Hotel del Coronado, serves gourmet steaks and seafood. This “diminutive Del” is celebrating 40 years in the restaurant business and is a favorite with locals and visitors alike! 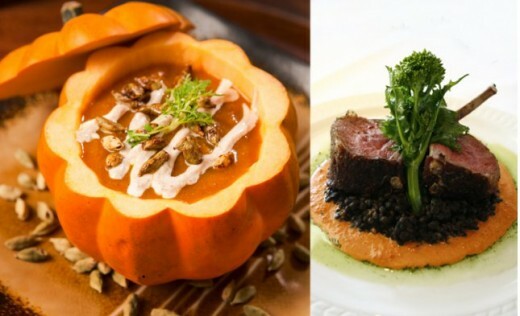 Enjoy farm to fork cuisine at Chef Rossman's Terra Restaurant. Every day is a fiesta at Casa de Pico in La Mesa, known for its award-winning “Best Mexican” cuisine, festive atmosphere and famous birdbath margaritas [just one, please 😉 ]. 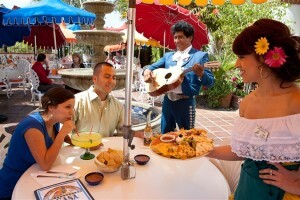 Enjoy dining on the patio with its colorful umbrellas, splashing fountain and strolling Mariachis – ole! Festive patio dining at Casa de Pico! A favorite with locals and critics alike, the Grove Steakhouse at Viejas Casino in Alpine serves a fabulous selection of steaks, seafood, chops and delectable desserts in a luxurious setting. Go a bit early to explore the casino and outlet shops. Viejas, by the way, is celebrating its 20th anniversary! The Grove Steakhouse at Viejas.